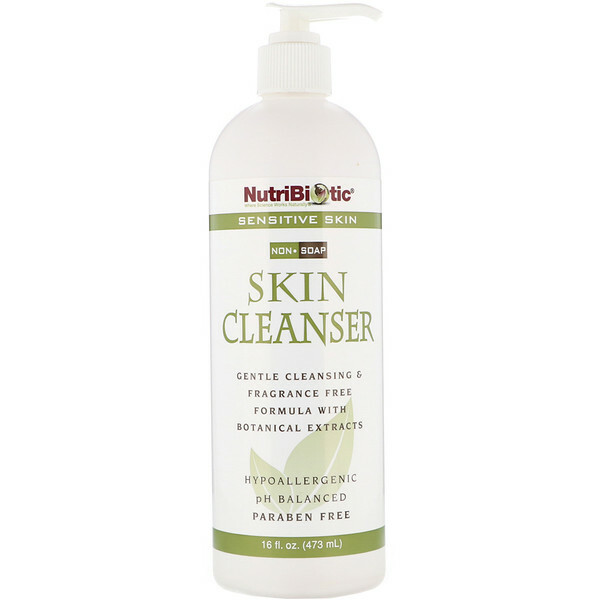 NutriBiotic Sensitive Skin NonSoap Skin Cleanser is a gentle, hypoallergenic, non-drying vegan formula specifically designed for individuals with skin sensitivities and allergies to fragrance. The deep cleansing action removes impurities and leaves no pore-clogging residue. Rich botanicals, including grapefruit seed extract, leave your skin feeling fresh and clean. Plant moisturizers help maintain your skin's moisture mantle and pH balance. Water (aqua); sodium C14-16 olefin sulfonate; oleyl betaine; aloe barbadensis (aloe) leaf juice; glycerin (vegetable); soyamidopropalkonium chloride; citrus paradisi (grapefruit) seed extract [citricidal]; ethylhexylglycerin; panthenol; allantoin; extracts of rosmarinus officinalis (rosemary) leaf, salvia officinalis (sage) leaf, tussilago farfara (coltsfoot), achillea millefolium (yarrow), melissa officinalis (balm mint), hibiscus syriacus (althaea), glycyrrhiza glabra (licorice) root, and thymus vulgaris (thyme), sodium PCA; sodium benzoate; potassium sorbate; and citric acid. 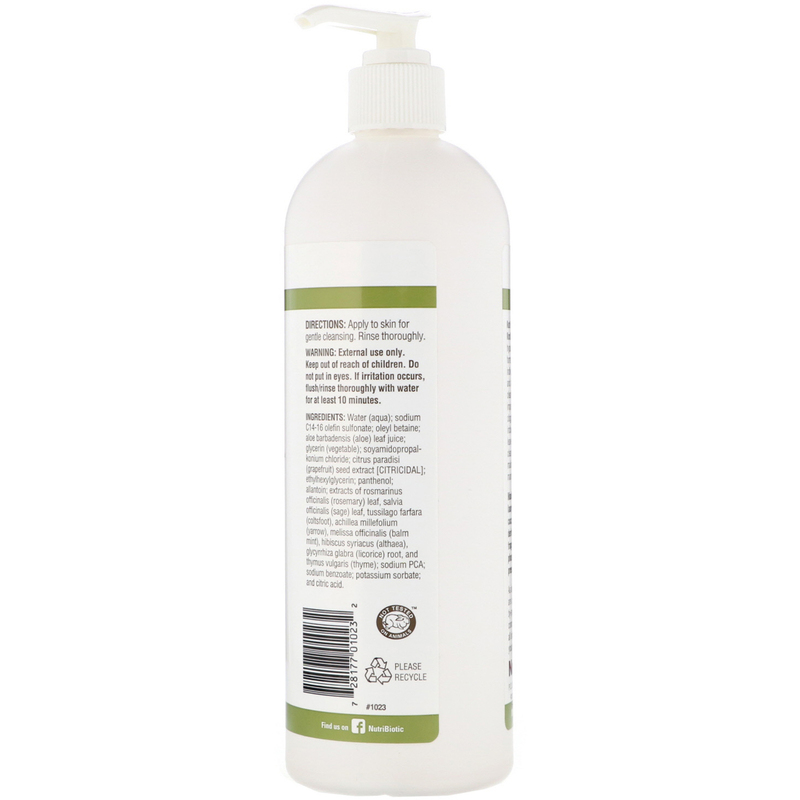 Made without sodium lauryl sulfates, cocamide DEA, free chlorine derivatives, colorings, fragrance, gluten, phthalates, phosphates, and paraben preservatives. External use only. Keep out of reach of children. Do not put in eyes. If irritation occurs, flush/rinse thoroughly with water for at least 10 minutes.